Waxed cotton cord looks great, is more durable than many other cords, and knots perfectly for adjustable length cord necklaces. This 1mm round cord can be used for all sorts of projects, including Kumihimo and macrame, knotting and more! 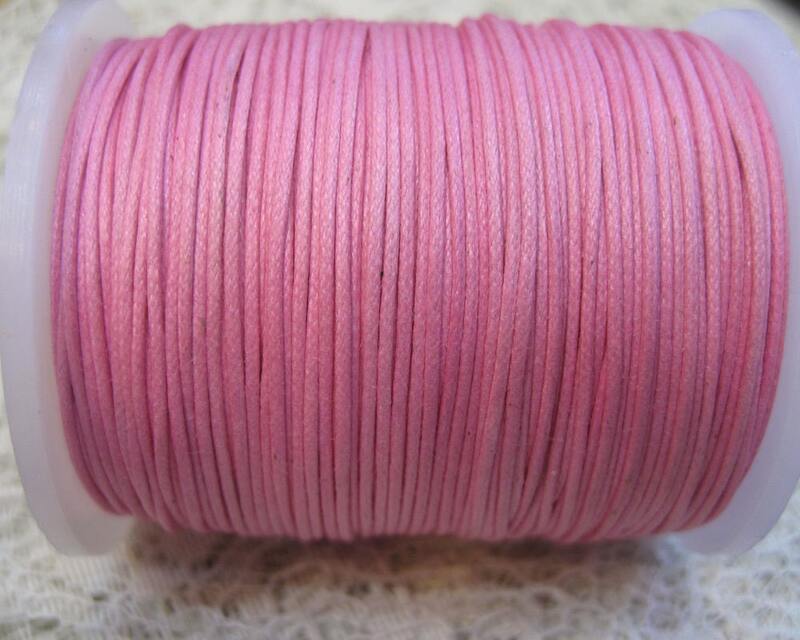 You will receive 10 yards of lightly waxed carnation pink cord.